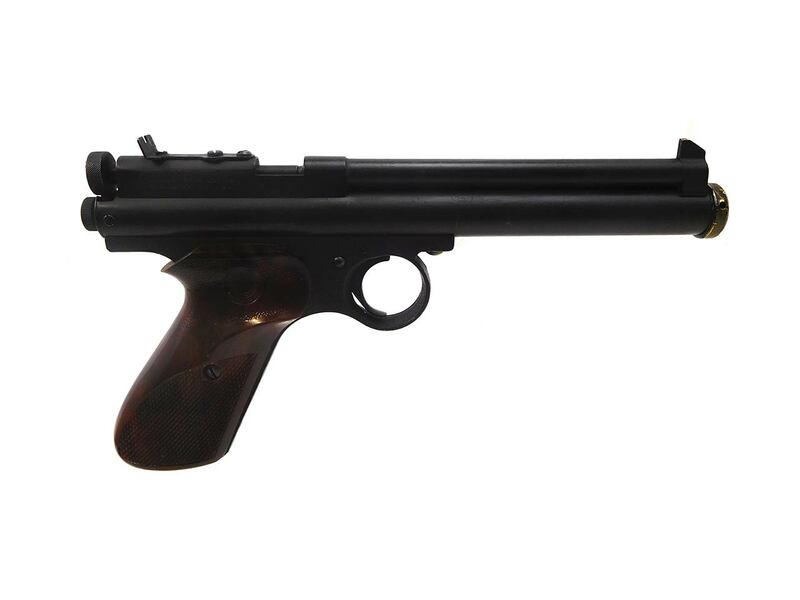 The Crosman 115 is a .177 caliber pre-charged CO2 air pistol. 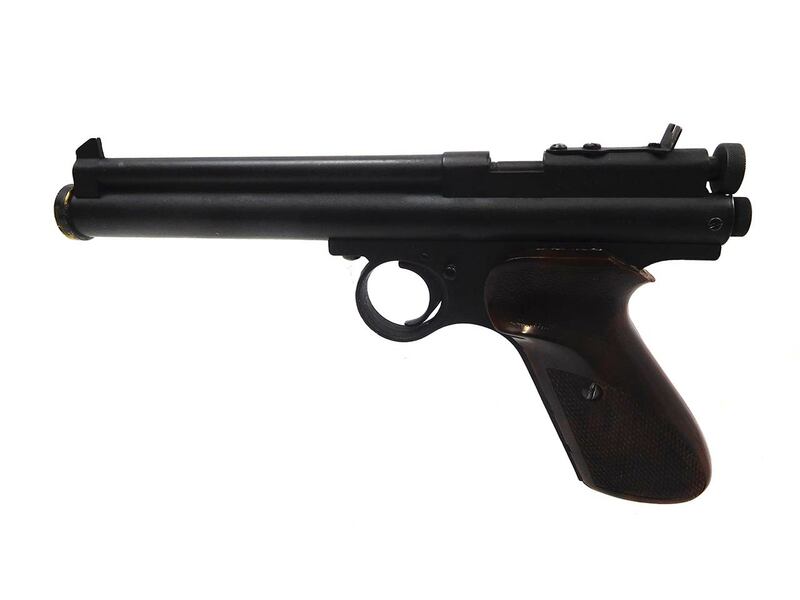 The model 115 was manufactured between 1951 and 1954. 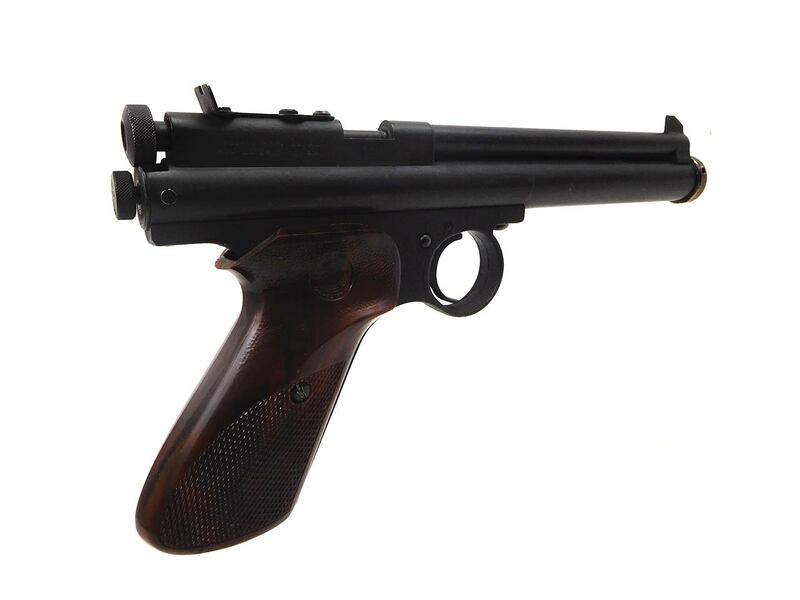 It is similar to the 111 model, but it has a shorter 6 inch barrel. The metal retains about 90% of the finish. 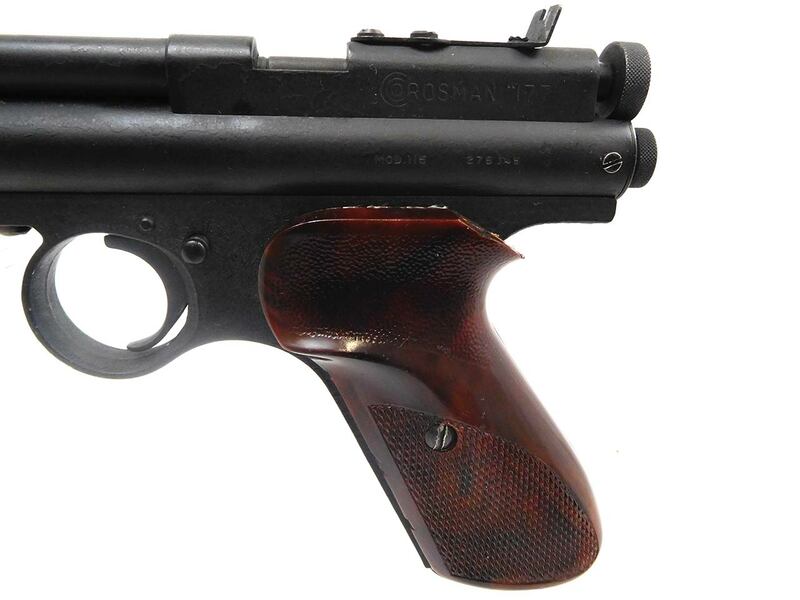 The back top area of the grips have been trimmed back, but they’re in about 90% condition otherwise. This one’s been cleaned, lubed, and resealed in our shop. Velocity tested at around 325 fps using lead pellets.